Robert Mueller, a former director of the FBI who is working as a special prosecutor "investigating" a contrived hoax designed by the military/security complex and the DNC to destroy the Trump presidency, has yet to produce a scrap of evidence that Russiagate is anything but orchestrated fake news. As William Binney and other top experts have said, if there is evidence of Russiagate, the NSA would have it. No investigation would be necessary. So where is the evidence? It is a revelation of how corrupt Washington is that a fake scandal is being investigated while a real scandal is not. The fake scandal is Trump's Russiagate. The real scandal is Hillary Clinton's uranium sale to Russia. No evidence for the former exists. Voluminous evidence for Hillary's scandal lies in plain view. Why are the clearly false charges against Trump being investigated and the clearly true charges against Hillary not being investigated? The answer is that Hillary with her hostility toward Russia and her denunciation of Russian President Putin as the "New Hitler" is not a threat to the budget and power of the US military/security complex, while Trump's aim of normalizing relations with Russia would deprive the military/security complex of the "enemy" it requires to justify its massive budget and power. Why hasn't President Trump ordered the Justice Department to investigate Hillary? Is the answer that Trump is afraid the military/security complex will assassinate him? Why hasn't the Justice Department undertaken the investigation on its own? Is the answer that Trump's government is allied with his enemies? How corrupt does Mueller have to be to agree to lead a fake investigation designed to overthrow the democratic election of the President of the United States? Why doesn't Trump have Mueller and Comey arrested for sedition and conspiring to overthrow the president of the United States? Why instead is Mueller expanding his investigation beyond his mandate and bringing charges against Manafort and others for a decade-old under-reporting of income? Why instead is Congress harassing journalist Randy Credico for interviewing Julian Assange? How does an interview become part of the House Intelligence (sic) Committee's investigation into "Russian active measures directed at the 2016 U.S. election?" There were no such active measures, but the uranium sale was real. Why haven't the media conglomerates that have produced presstitutes instead of journalists been broken up? Why can presstitutes lie 24/7, but a man can't make a pass at a woman? Once you begin asking questions, there is no end of them. The failure of the US and European media is extreme. The presstitutes never investigate real events. The presstitutes never question inconsistencies in official stories. They never tie together loose ends. They simply read over and over the script handed to them until the official story that controls the explanation is driven into the public's head. Consider, for example, the Obama regime's claim to have murdered Osama bin Laden in his "compound" in Abbottabad, Pakistan, next to a Pakistani military base. The official story had to be changed several times. The Obama regime claim that Obama and top government officials had watched the raid via cameras on the SEALs' helmets had to be abandoned. There was no reason to withhold the filmed evidence, and of course there was no such evidence, so the initial claim to have watched the killing became a "miscommunication." The staged photo of the top government officials watching the alleged live filming was never explained. The entire story never made any sense: Osama, unarmed and defended only by his unarmed wife, was murdered in cold blood by a SEAL. What in the world for? Why murder rather than capture the "terrorist mastermind" from whom endless information could have been gained? Why forgo the political fanfare of parading Osama bin Laden before the world as a captive of the American superpower? Why were no photographs taken? 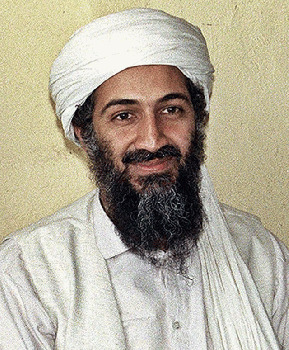 Why was Osama's body dumped in the ocean? In other words, why was all the evidence destroyed and nothing saved to back up the story? Why the fake story of Osama being given a sea burial from an aircraft carrier? Why was no media interested that the ship's crew wrote home that no such burial took place?